Tickets: Free of Charge to attend. The St Nicholas Fair in York is one of the most anticipated events on the Yorkshire Christmas calendar. It runs from 16th November to 22nd December. For most of us, Christmas is not only about the presents and full bellies after eating way too much it is also about spending quality time with friends and family. 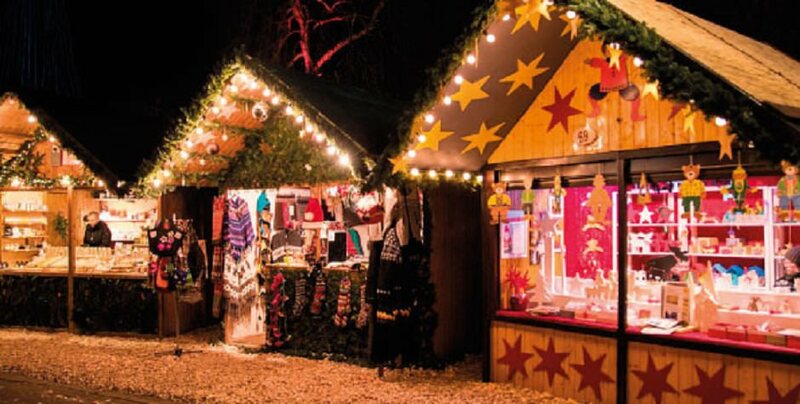 What better way to take in the Christmas spirit than by taking a relaxing stroll through the wide variety of Christmas stalls while enjoying a delicious cup of mulled wine. As a prelude to St Nicholas delivering this year’s must-have gift down household chimneys in 6 weeks’ time, York has prepared a stunning array of Christmas stalls for the whole family to enjoy. There is definitely something to be said about the simple pleasure of wandering through the Christmas markets. Enjoy a hot drink while perusing the stalls and perhaps buying that special something for that member of the family you can never find a gift for. The best part of the St Nicholas Fair is that most of the stalls supply goods which have been locally produced from locally sourced materials. Any gifts purchased here would be truly unique and special. The markets close on the 22nd December. This entry was posted in B+B York, Christmas and tagged Christmas, St Nicholas Fair on 15th November 2017.